Our company has the capability and all the necessary workforce to deliver the highest level of customer satisfaction. 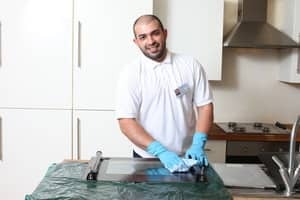 Our cleaning performance rates are always positive and we can assure you that we've dealt with every possible situation and handled it professionally. Our cleaners are the best you can find on the market and they always work with passion and attention to the customers' needs. Also, there are always special offers and savings options which you can check by visiting our website or calling us directly, no matter how late it is. After reading Pauls Cleaning reviews, I was worried about the service we might recieve too but gave them a go anyway. I got the "End of Lease" cleaning done including Carpet Steam Cleaning. 1. Top of all Kitchen Cupboards, Bathroom Mirror Cabinet & Wardrobes. 2. All Light fittings were not touched. 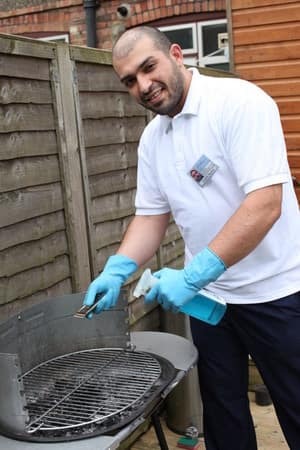 We have looked into this case and we would like to offer our apologies as it seems we have failed in our main mission - to provide our clients with best quality customer and cleaning service. We are sorry to hear that you have felt offended and left with such overall impression from our company. Our customer care team has been trying to get in touch with you to discuss this matter further, however, the attempts to reach you have been to no avail. So please contact us whenever possible, we are eager to rectify the situation and looking forward to hear from you soon. Thank you for this feedback and apologies for the misunderstanding. 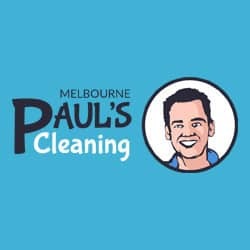 We used Paul's Cleaning because they were recommended by our real estate agent. This was a mistake. We got them to do the end of lease cleaning service with "100% assurance to get your deposit back" and "no hidden costs". However, when the cleaners arrived we were told that carpet cleaning is not part of the "standard" service, it is only included in the "premium" service. So we had to pay another $100. Then, after the real estate agent did the final inspection, we were told we had to remove the marks on the walls. Again, we were told by Paul's that this was not part of the standard service, and would cost an additional $150. I find their claims very misleading and deceptive, and would not recommend them to anyone. Please do not consider this company for an end of lease cleaning. Worst cleaners. I personally feel that it was a rip-off. Charged me around $250 only to wipe the table tops in my kitchen. The cleaners made my one room unit worst by leaving the wiping marks everywhere. It was very clear that the cleaners were not professionals, as what they claim. Went through a lot of headaches to book for a re-cleaning. Truly disappointed and hope others will think twice before hiring them. Terrible service. Booked for an end of lease clean and quoted approximately $250 for 1 bedroom unit inc. 2 room carpet clean - they showed up late and seemed pretty clueless, "cleaned" within an hour and a half, charged me extra for window cleanings, after the carpets had dried and I could get back into the unit apparently it was too late ! I had to haggle with multiple customer consultants for over a week to get a re-clean due to the poorly done job, even with photo evidence. During the re-clean they called me at work to pester me that they need more money to do the job properly. Save yourself the stress, Don't even consider. Our Customer Service department is aware of your case and have tried to reach you over the phone, but to no avail. It will be much appreciated if you would advise us when it will be a suitable time for you to be contacted. This will help immensely in resolving the matter for you. Thank you for sharing your opinion with us! We do understand that the attempts on having the matter resolved previously failed which led to the current outcome. However, thanks to your feedback we were able to work on the issues that the old management of the company had! We tried to reach you several times to offer our gratitude and to apologise personally for the inconveniences, although we were unsuccessful. Nevertheless, we have sent you an e-mail and we hope that you can give us a second chance based on the offers included in it. We hope to hear from you soon and to have a chance to prove that even though the mistakes from the past cannot be fixed, we can deliver exceptional service at a very high standard.